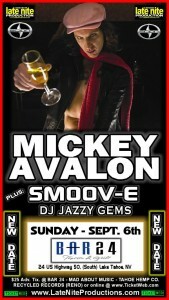 You simply won't be able to see Mickey Avalon perform at a venue like Bar 24, unless you get out there Sunday night. The show is a Bonafide Late Nite Production. UPDATE: Coverage from the night of the event at Bar 24 with exclusive Mickey Avalon interview. Cost: $27 in advance. Tickets available at Mad About Music, Tahoe Hemp Co., Recycled Records (Reno, NV) or online @ TicketWeb.com. 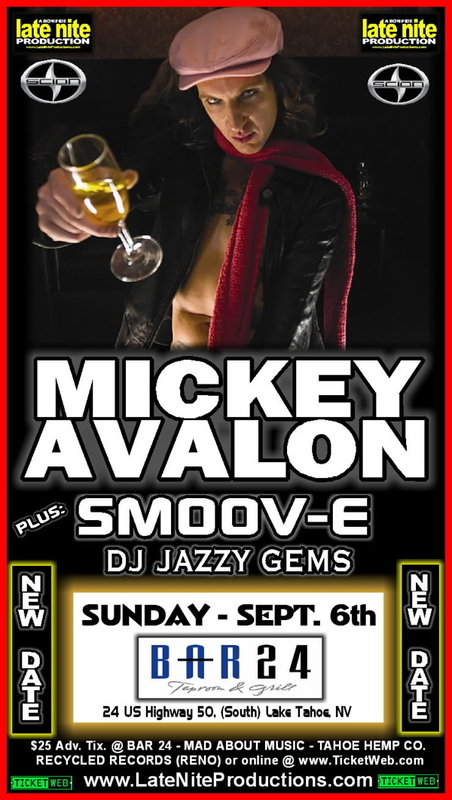 I am so excited for Mickey Avalon!